The first official LEGO Simpsons set will be the family's iconic house. The Simpsons are yellow. LEGO people are also yellow. Its a mystery why it took people so long to put two and two together, but now, Eurobrick member Carlos S has spilled the beans on the first official LEGO Simpsons set. 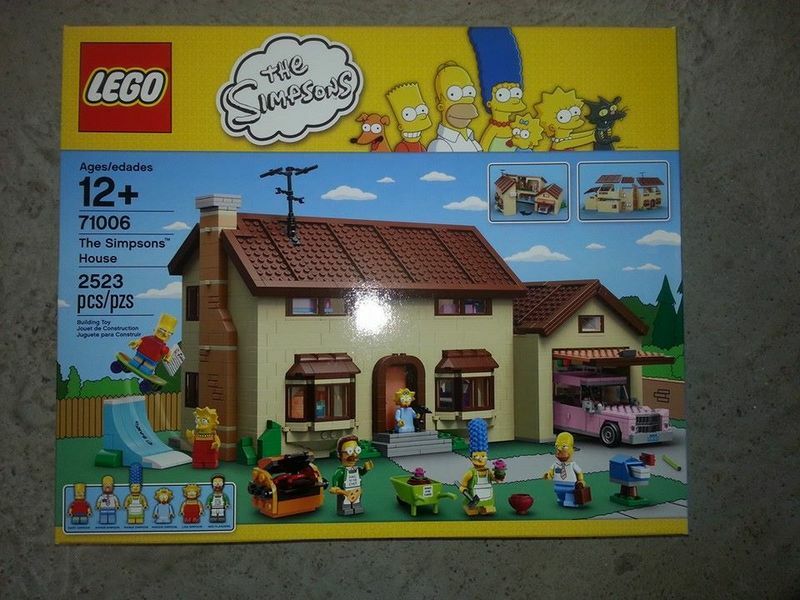 Only this single image of the box has been leaked so far, but from what we can gather, it will be the family's iconic house, containing 2523 pieces and six minifigures including the full family plus Flanders. From the looks of things, the house will open up, revealing all of the rooms inside, including a garage that comes with Homer's pink sedan. The Simpsons pets Snowball and Santa's Little Helper appear in the art at the top of the box, but don't seem to be in the set anywhere (unless Snowball is the black thing Maggie is holding). It was previously revealed that as well as several LEGO Simpsons sets, a LEGO Simpsons TV show is also in production for this year. I haven't really payed attention to The Simpsons for the last ten seasons or so, but if good sales of these sets lead to them creating official LEGO Futurama sets, then they can shut up and take my money.